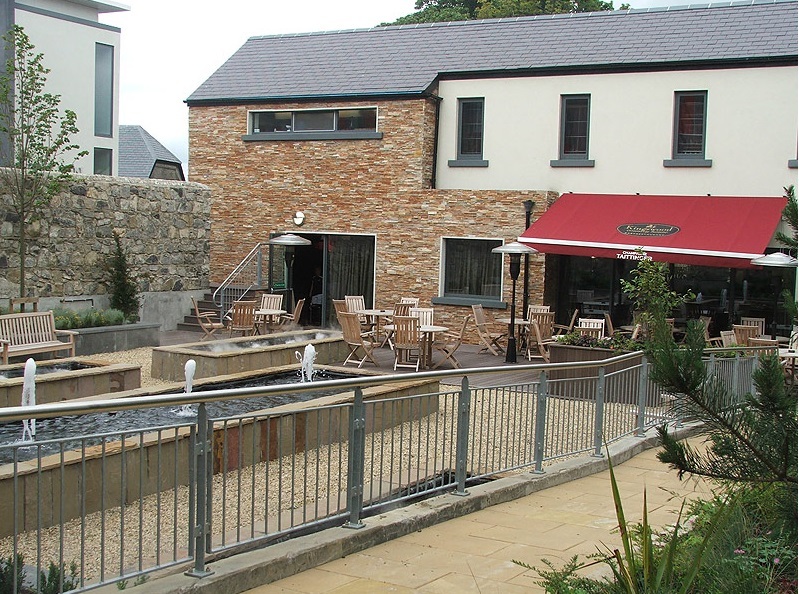 Kingswood House and surrounding gardens were recently restored with a new contemporary hotel constructed within the grounds. 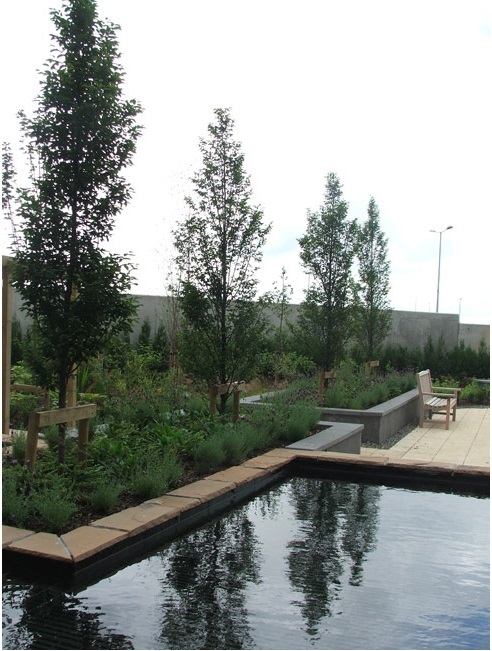 Murray & Associates were commissioned to restore sections of the gardens, protect the existing trees and sensitively create an environment combining new and old. In its hay day, the grounds of Kingswood House would have consisted of an extensive working walled garden with the house framed by ornamental shrub and herbaceous borders nestled within a mature treed setting. 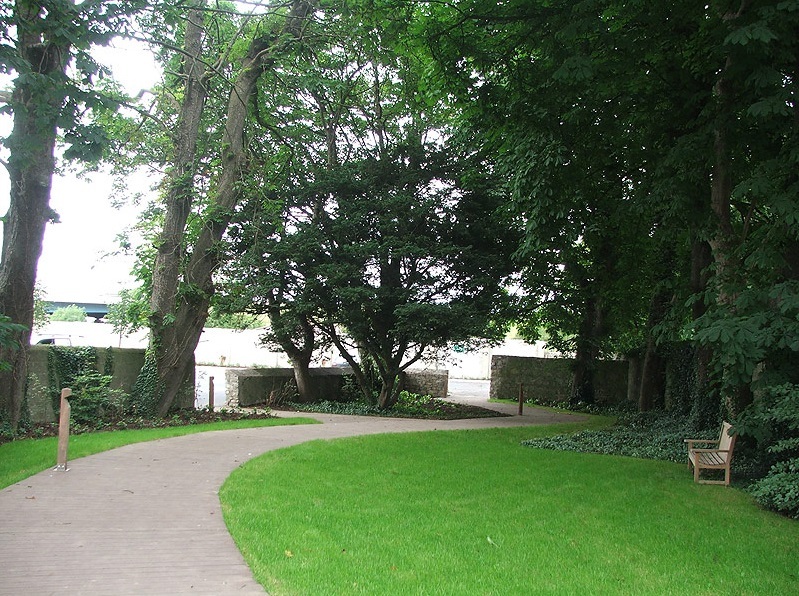 Prior to the commencement of the recent restoration works the grounds were disused, had become overgrown and neglected. The first stage in the redevelopment of the site was to record the species and condition of all vegetation on site, its location and relevance to the former landscape function and design. 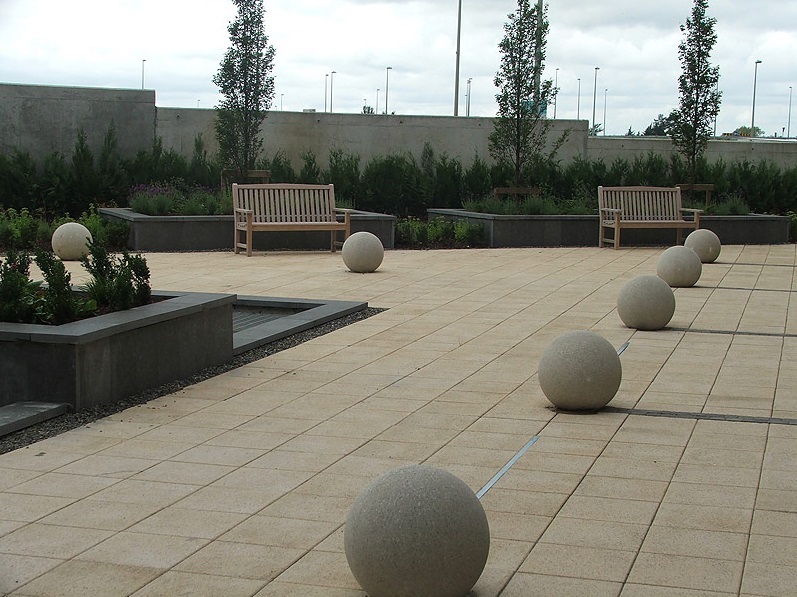 The landscape design aimed to incorporate the existing features while complimenting and enhancing both the old and new buildings alike. To unite the various spaces, courtyards and walkways, an interconnecting pedestrian route aligned with seating was proposed to allow the user to stroll throughout the entire site. 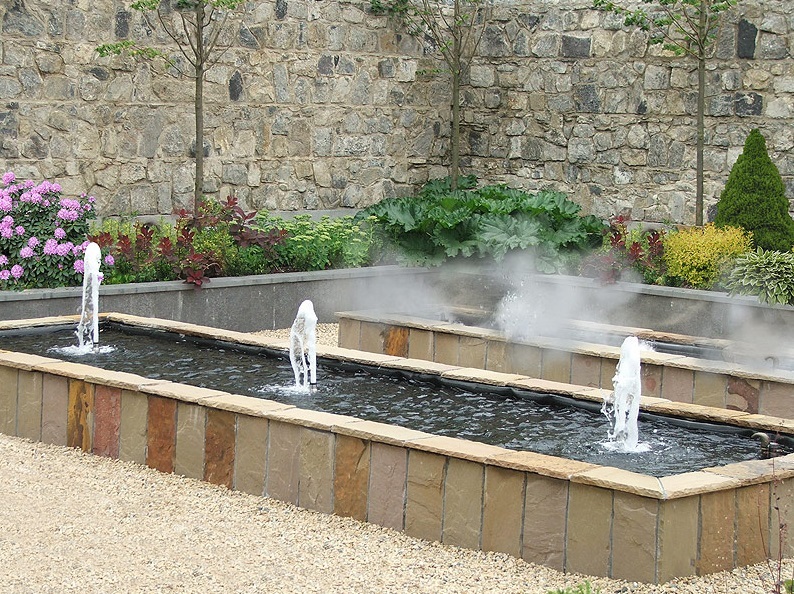 The walled garden became the focal point being developed as the central amenity with water features, raised beds, seating, decking and feature lighting. The planting within the garden and surrounding the house is predominantly herbaceous with structural woody plants in keeping with what was existing. 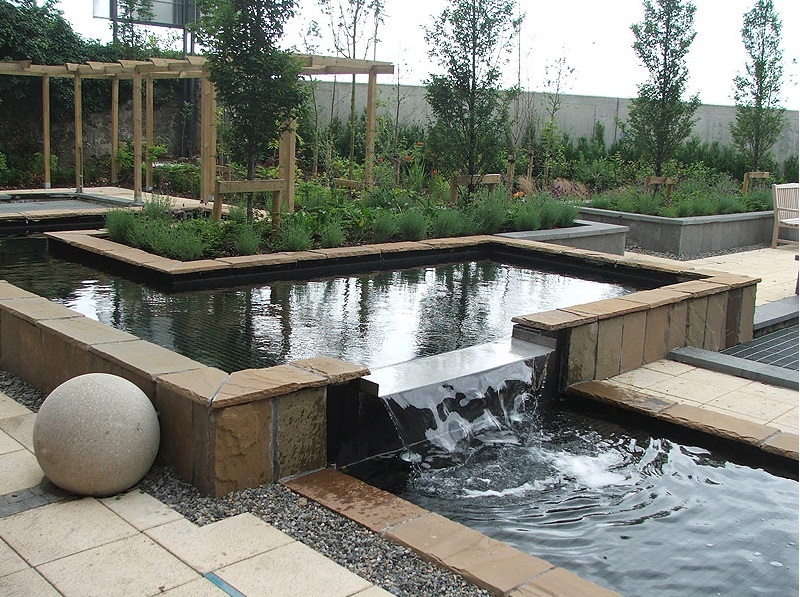 Architectural foliage and ornamental grasses were introduced to modernise the planting scheme along with the contemporary design of the water features. Stone from the original outhouses was reused to create the enclosure wall of the central walled garden. 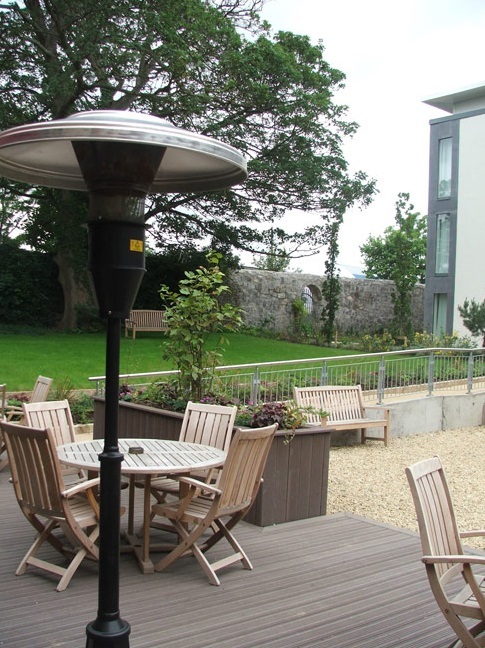 As a contrast the landscape treatment to the rear courtyard of the hotel is formal and contemporary reflecting a different theme and use of space in this area. The majority of mature existing trees were retained undergoing the required tree surgery works to improve their amenity and ensure their longevity. 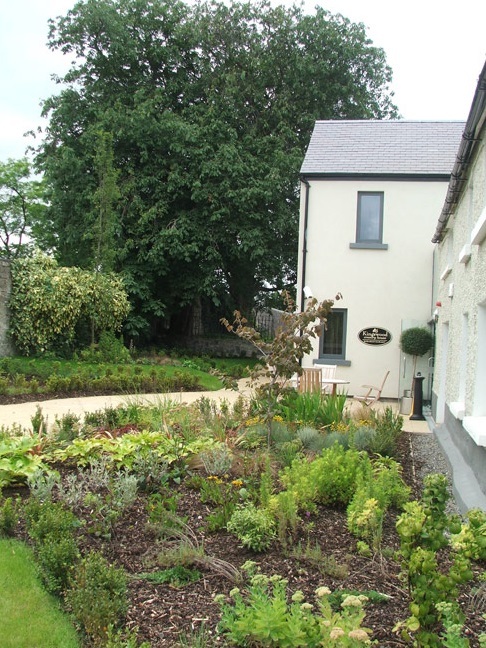 Extensive tree, shrub, herbaceous and bulb planting were planted on site, with careful selection and sourced from various suppliers throughout Ireland well exceeding the numbers originally on site. 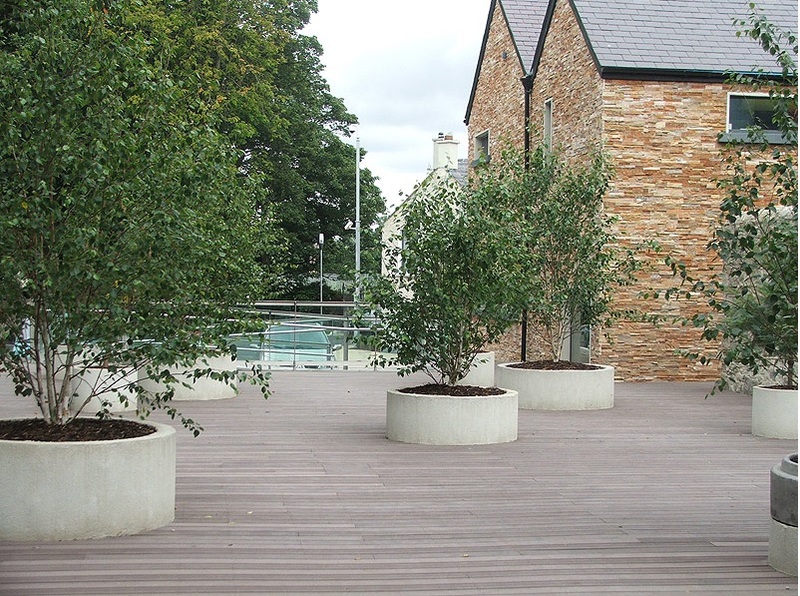 Murray & Associates oversaw construction and tree protection and prepared a management and maintenance plan for all hard and soft landscape external components.